I met with many vendors from municipal equipment to alternative energy back-up systems for emergencies. keep messages short and to the point. If not an interactive platform, provide a way for residents to send questions that will be reviewed by town officials. Other highlights for having an official town presence on social media discussed: provide community OEM action plan for disasters and keep residents informed; educate community how to protect their possessions and how to use their own resources to prepare for disaster as well as recovery. Beyond disaster information, social media can help residents and municipal governments interact in a more immediate and effective manner. The panel consisted of the Mayor of Clinton Town, NJLM Web & Internet advisory, Director of Communication for Cherry Hill, Director of Community Development for West Windsor and Deputy Mayor of Chatham Township. 1. Who will be the “official” poster to the FB page? The speakers were from larger towns that have offices such as “Department of Communications” and “Director of Community Development” other towns mentioned having their “Business Administrator” or “Director of IT” manage their FB page[s]. We have none of these positions in Highlands. 2. Will our town ask John Schneider to take over the management of his existing, “non-official” HIGHLANDS New Jersey page and make that the Official FB page of Highlands? As of 11/29/14, that page has a reach of 2003 members. Speakers from the NJ Board of Public Utilities and the Mayor of Robbinsville discussed how municipalities can better communicate with utilities during storm events as well as how we can effectively prepare for storms. Having the BPU know who is in charge locally can provide smoother transitions when we lose services. Contact information for the point person, whether OEM or the Administrator should always be up-to-date. Social media was mentioned as the best way to get the municipal message out to a great many people. Reverse 911 calls no longer reach as many as it used to due to people having packages with FIOS or cable companies – these services do not work when we lose power. Other topics were natural gas or solar back-up systems for essential services. Solar grid-tied systems installed and owned by the municipality were also mentioned as a way to generate income. 1. With so much of our infrastructure either broken of out-of-date, can we leverage grants or existing cash to plan a command center that is out of harm’s way and self-sufficient from the grid. 2. Can we work with BPU to set up a “test-town” where they can help the investment of off the grid infrastructure for emergencies? Wednesday – 11/19/14 – Crisis Management-Will You Be Ready? This was a great session for what to do when the unexpected happens. Steps were outlined to have a plan of action setup in advance of man-made or natural disasters on how to protect residents. Issues discussed were how elected officials and emergency management personnel get the tools to needed to deal with events including: preparedness planning, dissemination of information, continuity of operations, sharing intelligence, and using resources from country, state and federal. Speakers ranged from the Mayor of Hope to 2 officers of Homeland Security, to FEMA and the Red Cross. This session referenced the Stafford Act multiple times. The act was passed by congress in 1988 to foster continued and orderly assistance from the federal government to state and local governments to relieve hardship and damage that result from disasters. Does the municipality have an evacuation & transportation plan for affected residents? How large of an area? How will you cordon off the area? Does your community have a pre-selected command post? Does evacuated area have Megan’s law registrants? What is a resident will not leave a pet behind? Who is responsible if evacuated homes are burglarized? Who decides of schools should be closed? How are you communicating with your residents? Do you know if hazardous materials are being transported through your town? Most area residents will decide their perception on how the event is being handled through the news media. Give regular, scheduled media updates throughout the event. Use social media to get your message out [this was stressed repeatedly]. Residents want to see a familiar face so chose your point person well. Remember your area of expertise, if it’s not your area; introduce the expert that can answer questions. Know what your message is. 1. Highlands should release a detailed “what to do in case of emergency plan” for residents. 2. Residents should know where the command center is even if we are still in the FEMA trailers. HES? HHRS? New Firehouse? An interesting review of how community savings programs can buy power as a group such as Highlands currently does for sewer services. The theory in practice looks at the delivery vs power generation portion of your electric bill. This would allow the municipality to purchase electricity [power generation] on the behalf of residents with so many in one group electric rates would be lower. The delivery would still be handled by JCP&L and all equipment would remain the same. On the panel were the Mayor of Montgomery, NJLM Public Utility Counsel, BPU, DCA, Sustainable NJ, and Energy Market Exchange. The process is to find an energy aggregation consultant, have them write up a RFP for an Energy Supply contact [no outlay of money,] they are paid as a percentage of power generation fee. There is a FREE Local Government Energy Audit to see if this would be a good route for Highlands. It was noted that seniors would be most resistant to change, so it’s best to win over the biggest resistance by holding preliminary public meetings at senior centers. If it’s decided to move forward, it’s important to note that consumers are in the program as an opt-out basis [you are in the program unless you chose not to be] where all businesses are the reverse and they are not included unless they opt-in. There are currently 36 municipalities involved in GEA. 1. Highlands should look into the free energy audit to see if this is a good fit for us. Admittedly, I ducked out of this session early to go to the Municipal Failures and Administrative Disconnects that started at 10am. The Mayor of East Windsor presided along with an attorney, professional Planner and the president of Community Investment strategies. An update was provided on the status of COAH’s proposed regulations, focused on the issues of interest to municipalities and how local officials can plan for affordable housing. The biggest change going forward, in my opinion, was this following round 3 proposed change: Proposed new N.J.A.C. 5:99-1.1 emphasizes that the core focus of the Mt. Laurel doctrine is that zoning available land is the preferred means of meeting a municipality’s affordable housing obligation, allowing alternate means where available land is insufficient. To ensure that the sites selected for affordable housing are realistic from an economic perspective, the rules require an economic feasibility study. The rules also establish a minimum affordable housing set-aside of 10 percent subject to appropriate adjustments. 1. As part of the Master Plan, Highlands should change zoning as appropriate to meet the needs of affordable housing. This session was ear-marked for Building Officials. The Business Administrator/Construction Official of Hazlet, Electrical/Building official of Rumson and Code/Zoning Official of Scotch Plains Township delivered an amazing presentation of the aftermath of the storm and how they dealt with code nightmares. This one session gave me the most information as to how to learn from issues that arose from Sandy and how it changed our live as well as how we should look at emergency events in the future. Municipalities need to have back-up power for emergency events. Electronic back up to town servers need to be cloud based to access information when we have no power. There should always be paper back-up when electronic devices are not able to be used. Other items of necessity: hand held radios, blue tooth printers, paper street maps, staples, staple guns duct tape, caution tape – sounds silly but most municipalities didn’t have these rudimentary supplies. In cases of town-wide evacuation, code officials need to use buddy system in case they run into looters, or other unsavory persons. An official town Facebook and/or Twitter account is instrumental in getting word to citizens. A frequently updated website can alleviate town official’s workloads and residents anxiety during an event. This presence can help to organize volunteers, manage different emergency responders and provide vital information that can be dispatched quickly. municipalities do not provide basic personal protection equipment for inspector safety. There are free classes for safety training and ways to get equipment provided from the county and state are discussed. Note: the scanner was broken for this session so it is not noted in the attendance record above. We had to sign-in the old fashioned way, on paper. 1. Highlands needs an official social media presence. 2. We need backup code officials in town to mitigate response when our lead officials do not live in Highlands i.e. Construction Official, Flood Plain, Code Enforcement. 3. Before disaster strikes, we need a plan. This may be a plan for Highlands beyond 2020 if we utilize hydro power of the Shrewsbury River. This session’s primary focus was on how municipalities can sustain storm damage through on-site power generation. The Energy Plant Manager of Princeton University discussed how the power generation used through the school provided much needed resources for Combined Heat & Power [CHP]. Other speakers included the Mayor of Toms River, PBU and the Camden County Municipal Utilities Advisor. Princeton University generated their own power and was able to sustain their students as well as provide an evacuation center for neighboring communities. Other micro grid environments discussed were solar turbines and natural gas. Micro grid solutions can power small electronics to help keep residents informed of changes. 1. Highlands needs to look to an off-the-grid solution to power outages. Awesome Carolyn …. and kudos for getting all those certificates for attending. Now what do we do as residents to get this great source of recommendations into the right hands for Highlands to implement? Meetings alone and speaking for 3 minutes won’t be enough to shift the mindset, and I don’t want to have to wait for the next election before this happens. By then it might be too late given that the Master Plan process is already underway. I would love to know more on getting the “off the grid” idea and the alternative energy resources incorporated into our ‘vision’. That would be outstanding. First thing? Stop thinking small and allowing people to tell you that “you can’t do that”. As residents we can do leg work i.e. research what’s out there, see what other towns are doing well and find out how they made it work. Many officials at the conference were happy to speak to me as a resident because they were proud of how they communicated with their townsfolk and how they put systems in place to help their community. After you have that information, present it to council, If council does nothing, then write a petition and get it on the ballot. It’s time to stop doing nothing and start doing things differently. Obviously, we cannot continue the way we have. We need to talk to each other, stop the infighting and get things done. To answer specifically on off-the-grid resources: we can have a solution in place via natural gas back-up immediately. Why this hasn’t been done and/or discussed amazes me. A small unit [as you know] can run $10-$12k. Other ideas bounced around are grander thus more expensive, but this is one thing we can do NOW for little initial outlay. Thanks for attending and reporting back to all us Highlands folks. Hopefully some of your suggestions will be implemented. But I don’t see the any aggressive action being taken by our Council. We have to save our town and the clock is ticking. Good Work! Makes sense. The homeowners are already doing something (in a way) by elevating and making their homes FEMA compliant with flood mitigation – which will be a huge help for enticing people to ‘buy’ and rebuild here In Highlands. Once the town seriously works on the pump systems and the old infrastructure (by rebuilding the ‘bones’ of the community as they said in the Rebuilding and Development seminar in AC) – we will then conquer other critical projects that will revitalize Highlands and take us out of ‘an area in need of rehabilitation’ …. I know this will all take $$$, time and a general consensus to make that our priority …. But wouldn’t it be something totally unique to become a green, self- sustained town? 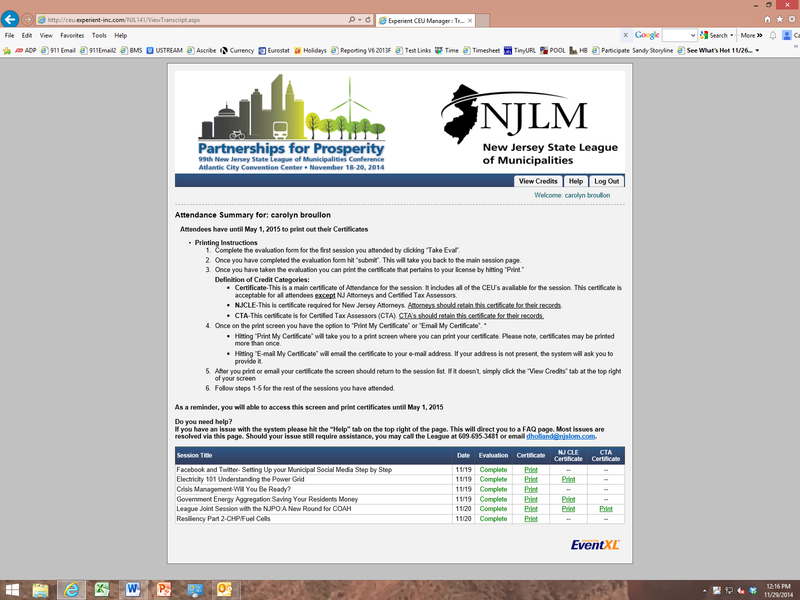 I don’t know of one town in the Bayshore or locally in NJ that can claim that …. and I believe it will be something that the next generation will be drawn to when choosing where to invest and live. Bob – it’s time to make it happen now, help me be a part of the change that’s coming! Why is everybody so anti-grid? How many times since Sandy has Highlands been without power? I can’t think of a single instance. And lets talk about money: The CHP plant at Princeton cost $34 million. You green freaks need a reality check. Running your own power plant isn’t even remotely green. Princeton has a gas turbine and 3 diesel generators. Those machines use oil by the barrelful. We haven’t got any space for a solar array and the Shrewsbury doesn’t have enough tidal kinetic energy to make it worthwhile. You’re trying to solve a non-problem. We already have reliable power. Reliable power? Now that’s funny. The summer I moved to Highlands we lost power more in those three months than the 30+ years I spent in north Jersey. And NONE of those power outages were related to named storms. Take a look around town. As people are rebuilding and lifting they are also installing generators. If power was so reliable they wouldn’t be spending that additional money. Thank you for attending the conference and thank you for sharing what you learned. Please keep us posted on the next step to get this done. I am frustrated because it seems like nothing of importance is getting done. Everything seems to be a waiting game unless it has to do with shutting up the residents that have an opinion. Brilliant summary, Carolyn. Can I repost it on the Herald? Absolutely Allan, information should be shared and freely distributed. Thank you!